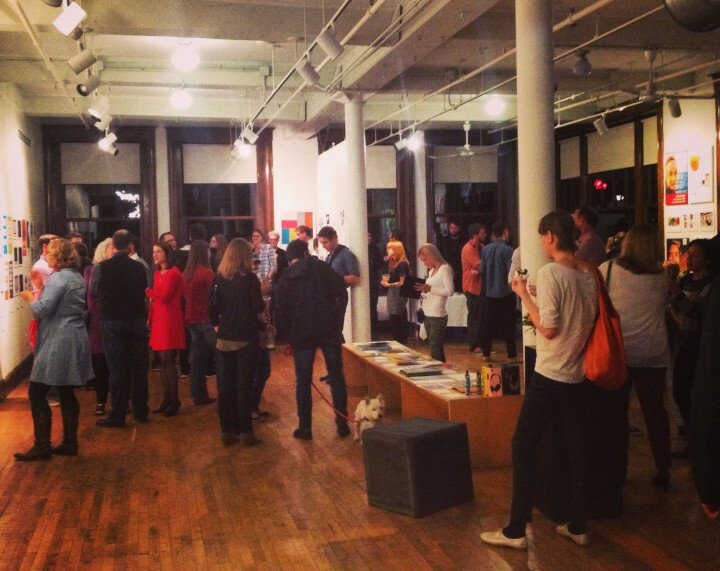 Last night AIGA VT hosted the first annual Vermont Design Awards at the Karma Bird Gallery in Burlington. This curated design exhibition kicked off the first ever Vermont Design Week, which includes lectures, studio tours, designer-led panels, and community events. There were over 200 submissions to the Design Awards in categories such as Video, Websites, and Publication Design. The judges whittled down the entries to a selection of 50 pieces which are on display throughout the week. Our work for Photon Medical Communications was selected to be put on display, alongside great work from many other talented Vermont designers, such as Dave Barron Design, HMC Advertising, Dubko, DesignPartner, and many more. To find out more about Vermont Design Week, read this overview from Seven Days, or visit the Vermont Design Week website. Vermont has a burgeoning tech community, and there are plenty of exciting businesses that are currently hiring. However, our Green Mountain state still suffers from the perception that there are few jobs available. The state recently launched a website designed to “bring more awareness to Vermont-based companies and job openings,” according to Vermont Governor Peter Shumlin. However, the site, as currently implemented, suffers from major technical shortfalls, and misses the mark on highlighting Vermont-based companies. I was recently interviewed by Annie Russell of VPR on some of the issues with the site.